Chiral compounds are ubiquitous in nature, which are particularly of unique functions in the life processes. Science of chiral compounds covers chiral origin, composition, cell recognition and aggregation. 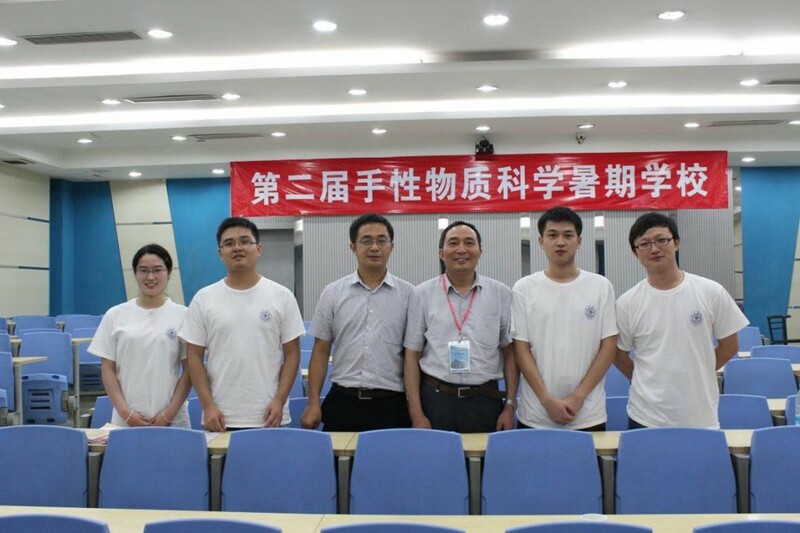 Four members of our lab attended the 2nd NNational Summer School of Chiral Material Science sponsored by Shanghai Jiaotong University on July 21st ,2013. It hires experienced and famous scholars to be instructors and attracts postgraduates and young teachers to attend the academic seminar. This Summer School makes the best use of Shanghai Jiaotong university’s research specialty and course comprehensive advantages on chiral compounds and aims at fostering to lay a solid foundation for training talents by forming an international academic platform and creating the atmosphere for scientific innovation. 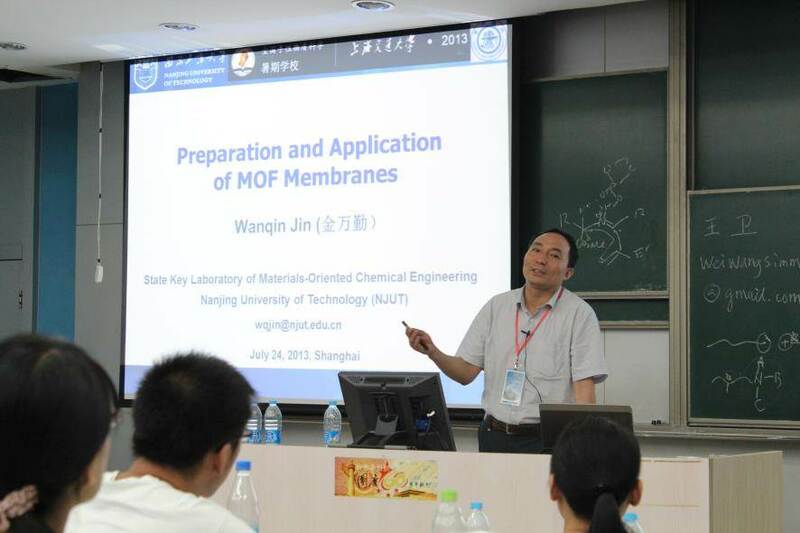 Professor Wanqin Jin was invited to deliver a lecture on synthesis and application of MOFs membrane. He described the chiral MOFs compounds separating feasibility and its future in terms of chemical industry but not chemical. 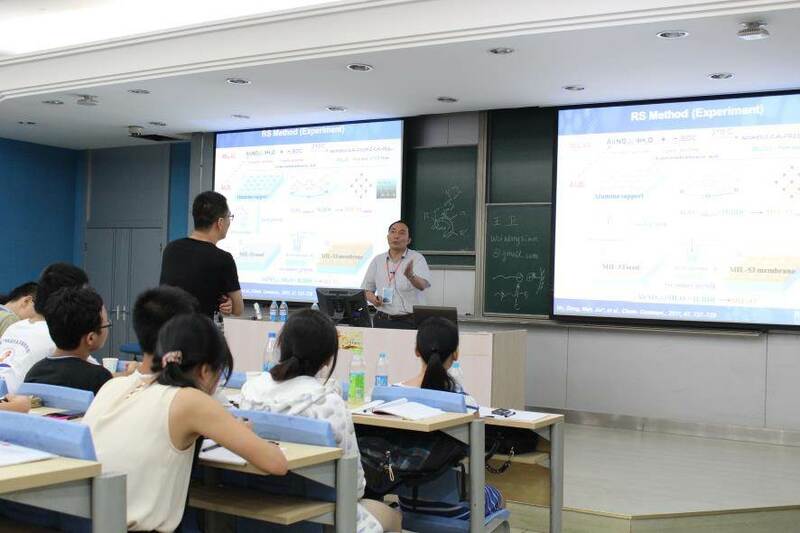 He made an elaborate report on work of membrane separating concept and MOFs membrane research, including methods of MOFs membrane synthesis and its application. Professor Jin’s lecture aroused students’ such great interest and attention, that they posed questions to him actively. Prof. Jin answered those questions with great patience.